Cleaning and disinfecting your CPAP on a regular basis is extremely important. There are viruses, bacteria and mold that might accumulate inside the tubing for example and then you will inhale these harmful bacteria through the mask. There are many CPAP equipment cleaners available on the market, but some of the most popular ones include the VirtuClean, the SoClean 2 and the Lumin CPAP cleaner. 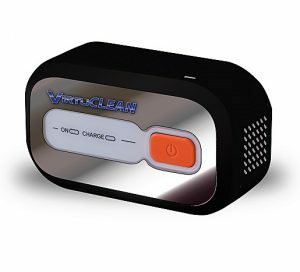 VirtuClean is a lightweight, small and highly portable CPAP sanitizer offered by VirtuOX. The unit uses Ozone in order to clean and disinfect your CPAP equipment. It promises to destroy 99.99% of the bacteria and germs that are quite commonly found inside your equipment. You simply need to connect the tubing system to the VirtuClean unit, and then use the supplied bag to place the mask in it. Next, you just need to close the lid, press the button and the device will sanitize perfectly your CPAP equipment within 30 minutes. You can also use the device to clean your humidifier and tubing accessories. The best thing about VirtuClean is that you do not have to use harsh chemicals and detergents or even water to cleanse your equipment. The machine uses ozone enriched oxygen in order to sanitize your CPAP equipment. The device is also extremely quiet, and when the sanitation cycle is ready you can take out all your accessories dry and perfectly cleaned. Up to 10 years battery life! SoClean2 is yet another CPAP cleaner and sanitizer that manages to kill 99.9% of the viruses, germs and bacteria residing within your CPAP equipment. Use it to disinfect your reservoir, mask or hose without water or added harsh chemicals. You do not even have to take apart your equipment in order to sanitize it perfectly. This saves you a lot of time, and you can enjoy clean and sanitized CPAP therapy with each session. Based on plenty of genuine reviews, the SoClean 2 is indeed a highly reliable and efficient cleaner and sanitizer for CPAP items. The unit has an overall sleek design and leaves a smaller footprint. The unit has a front display, and indicator lights throughout the sanitizing cycle. You also have two hose insertion options- left or right. The SoClean CPAP sanitizer is able to destroy all the well-known pathogens residing inside your CPAP equipment, and you do not have to take apart your equipment to place it in the sanitizer unit. 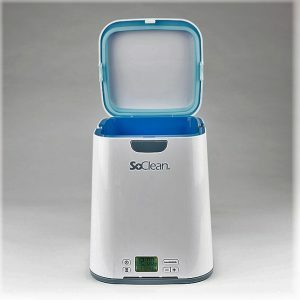 SoClean basically uses the same type of sanitation used in hospitals, water purification systems, or produce handling. 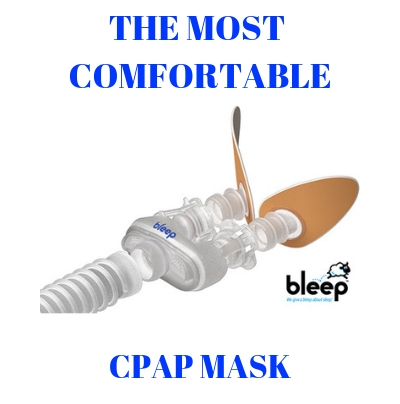 Get the peace of mind you need each time you have to use your CPAP equipment, and never worry again about viruses, mold, bacteria, pathogens, etc. 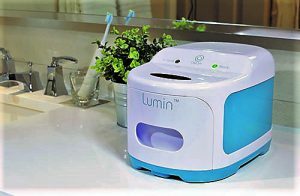 Lumin CPAP cleaner is different from the SoClean 2 or the VirtuClean, in that it uses a UV light source to clean and disinfect your CPAP equipment. This UV light sanitation system is not new, yet it is not very commonly found in home sanitizer units and cleaners. UV light is capable to destroy mild, bacteria, viruses and even several types of fungi that might reside inside your tubing or other parts of your CPAP equipment. Lumin also represents an extremely cost-efficient solution, because there are no replacement parts, filters or any solutions/detergents that you need to purchase. UV light will kill 99,99% of all the bacteria and fungi that represent a high degree of risk to your health. Using your CPAP equipment on a day by day basis, you must ensure it is completely clean and disinfected each time you start your treatment session. Patients with respiratory illnesses should also opt for a sanitizer that is completely safe to use, instead of the Ozone based ones which can be harmful. This is also an extremely affordable option, being available at prices even below $250. When purchasing CPAP sanitizers, make sure you will invest in a top quality device. You want to get the best warranty, and the best quality for your money. The sanitizers presented here are all highly popular among CPAP users from all around the world. You just need to run your own research, read carefully the descriptions and select the one that suits best your personal needs and your available budget of course. Purchase only through highly reputable sellers who can offer you not only the best price but also a good warranty and access to all the product specifications and details that you need to know. The immediate above says Patients with respiratory illnesses should also opt for a sanitizer that is completely safe to use, instead of the Ozone based ones which can be harmful. But yet the first two say they are completely safe so how does ozone cleaning become harmful? Also does the SoClean work on Ozone too as does the Virtuclean? Everyone has an opinions been proven 100% safe. as for the second part of your question both the SoClean and the VirtuCLEAN work using ozone. There is a new cleaner (also ozone) coming out in the next week called the Sleep8. It look really promising and is also an ozone cleaner. I know you can put your humidifier reservoir inside the Lumin, but will clean inside your hose as well? The Lumin has not been approved by the FDA to sanitize the hose. This is because not every hose is the same so it is still better to clean your hose by hand. Has the Sleep8 come out yet? How does it compare to the others? Does medicare cover the cpap sanitizer? No Medicare considers CPAP cleaners to be convenience items and will not cover them.